33 Mile Radius is pleased to add its 450th water damage lead generation contractor, expanding their presence across the country. 33 Mile Radius works with contractors in 47 states. Unlike most advertisers they actually care if their clients make money. 33 Mile Radius is pleased to add its 450th water damage lead generation contractor, expanding their presence across the country. 33 Mile Radius works with contractors in 47 states to bridge connections between consumers and reputable contractors who are looking for assistance in restoring their homes. Every homeowner deserves access to qualified professionals for a variety of services, and 33 Mile Radius is eager to help them find what they’re looking for. 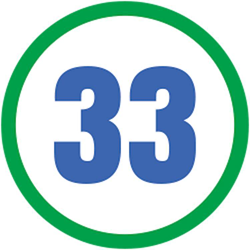 33 Mile Radius serves as the parent company of Restoration Local. Through Restoration Local, the company generates leads to help customers find the top-notch contractors they need to fix the damage in their home. While 33 Mile Radius primarily serves the water damage and mold remediation niches, they also offer a variety of lead generations for common household issues and projects. They have you covered from your ceiling to your back patio. Leaving behind an impressive trail of happy homeowners and pleased contractors, 33 Mile Radius will continue to expand its client base. While this important addition is a moment to be proud of, the company continues to look to the future and devote themselves to the work they’ve seen meaningful success in. Having amassed a great number of contractors across the country is an impressive feat, but 33 Mile Radius is always looking to take things one step further. Restoration Local is an invaluable resource to homeowners across the country. Providing services nearly everywhere in the country, Restoration Local aims to help homeowners get things back in order after they’ve experienced water damage, fire damage, mold or sewer issues in or around their properties. Since things can go awry at any time, their phone lines are open 24 hours a day to assist homeowners experience night time disasters. They’ll work with both insurance companies and insurance adjusters to take the burden off of the customers’ shoulders while providing the affected homeowner with a free estimate on their restoration project. Restoration Local places their emphasis on water damage, and they take their job very seriously. Taking a lax approach to water damage will only lead to more problems down the road, and Restoration Local knows that. They offer customers a three part process to restore their homes and prevent the spread of damage. Not only do they extract the water, but they also properly dry the structure and prevent the spread of mold. With decades of combined experience, they’re able to tackle any job – no matter how big or how small. They’re happy to keep the costs down, so the customer doesn’t have to spend a fortune just to get their home back to the way it should be. Restoration Local, the child company of 33 Mile Radius, serves as a middleman between consumers and contractors. Dealing with home damage, especially if the damage is severe, creates a stressful time for customers who may feel in over their heads. Through Restoration Local, customers won’t have to worry about investigating every contractor that serves their area to find the most capable men for the job. Restoration Local keeps the customer’s best interest in mind, giving them less to stress about in an already trying time. Customers are in good hands when they choose Restoration Local. 33 Mile Radius is a lead generation and marketing company that provides a whole host services for the home services industry. They already cover a large number of industries with lead generation, and are flexible enough to work with new propositions. Outside of lead generation, 33 Mile Radius also offers services in search engine optimization, paid search, local listings, web design and more. While 33 Mile Radius has an impressive expertise in lead generation services, they also offer comprehensive SEO services. SEO, or Search Engine Optimization, allows businesses to climb the ranks of popular search engines. Organic search visibility is critical for businesses that want to succeed in a competitive market, and these services are necessary for maximum outreach with minimal advertisement costs. Their lead generation services comprise the majority of their business, specifically within the water damage restoration industry. Working with 33 Mile Radius is simple. There’s no monthly fees, no set up, and customers only pay for valid leads. Using a variety of web domains, the company finds customers in need of services and directs them to professionals who are qualified to provide the services they need. Their website features real testimonials from business owners in the restoration industry who are eager to share the positive experiences they’ve had working with the company.